LOBO advocates the use of risk management strategies as one of the most important means of enhancing flight safety. 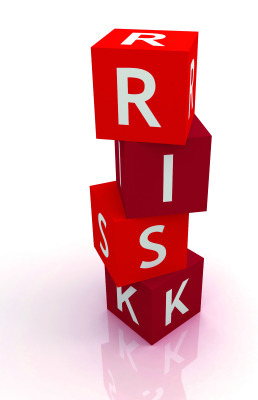 The best way to manage risk is training and education. Below you can find links and suggestions to further your aeronautical education. The standard of care of a General Aviation (GA) Pilot with an Instrument Rating certificated in the United States is outlined in many documents, but most prominently in the Federal regulations found in, but not limited to, the 14 CFR 61 and 91 series, and a multitude of advisory materials. The advisory material expands on and explains the regulatory information. The Commercial Pilot and Instrument Rating Practical Test Standards contain a listing of all of the advisory material that expound on the core subject areas. Commercial and instrument pilot applicants must learn and be familiar with these core subject aeronautical areas in order to pass the Commercial Pilot and Instrument Rating check rides and earn an FAA Commercial Pilot Certificate with an Instrument Rating. 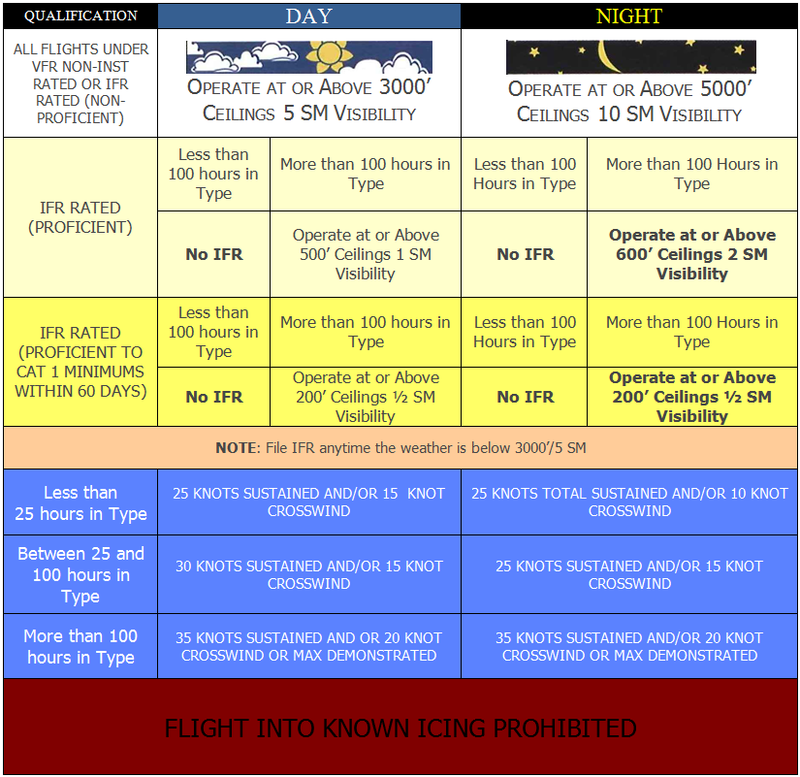 In addition to subject knowledge areas, aspiring commercial/instrument pilots must demonstrate flight proficiency on a variety of flight and flight related tasks and maneuvers including flight by reference to instruments, instrument approaches, single engine instrument approaches, missed approaches, holding, etc. The Commercial Pilot Practical Test Standard, against which commercial pilot applicants are compared during their check ride, emphasizes good judgment and prudent, safe operation of the aircraft. After a person passes a commercial pilot and instrument rating check ride and receives a Commercial Pilot Certificate and Instrument Rating from the FAA, that person is allowed to carry passengers for hire, and is expected to always operate in a safe and prudent manner and meet higher standards than those expected of those holding a Private Pilot Certificate. Those holding a commercial certificate are further instructed and refreshed on aeronautical knowledge during the minimum required biennial flight review training, but a prudent pilot will refresh him or herself regularly on the important information contained in the advisory documents. Safety information available to pilots is not limited to government publications; data from the General Aviation industry is prodigious. 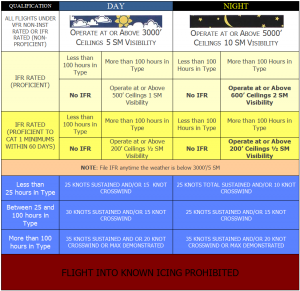 There are many publications, organizations, clubs and other activities producing information related to safe, prudent flying. For example, some 400,000 of the 600,000 pilots in the United States belong to the Aircraft Owners and Pilots Association (AOPA). AOPA publishes monthly magazines and electronic or “e” magazines for its members containing a wealth of information on safe aircraft operating and flying techniques. 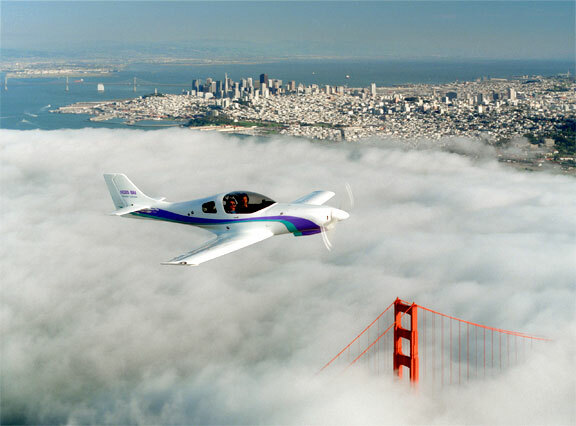 Another source of information is the Experimental Aircraft Association (EAA). The EAA also publishes periodicals in both printed and electronic formats pertaining to safety and risk management. In addition, EAA has a network of local chapters through which you can obtain advice on building, maintaining, testing and flying your experimental aircraft. There are also “type clubs,” such as LOBO. All of these clubs and associations encourage and foster good safe operating practices. General Aviation flying as a hobby is not without risk. However, by adhering to the prudent, safe operating practices found in the body of information that has been developed over the last 100 years of powered flight, the risks can be managed to a safe and acceptable level. When a pilot chooses to disregard or ignore safety recommendations born of a century's flight experience he or she adds greatly--and unnecessarily--to the risks. Unfortunately, when there is an aviation accident, it is sometimes discovered the pilot in command strayed from the standard of care by failing to abide the prudent operating practices he or she learned during flight training. The reasons for this are varied. Some pilots, by nature, do not believe regulations apply to them--they intentionally violate or disregard the regulations. Still others fail to seek periodic training to maintain their aeronautical knowledge and skills at an acceptable level--often without even realizing they are no longer a “safe” pilot. Flying skills are very perishable; they need constant practice and exercise. Skill and knowledge are the two cornerstones of safety and risk management; it takes practice and study to maintain them. There have been over 191 Lancair accidents with 91 fatalities in Lancairs since the first, on August 1, 1989 at Oshkosh, when a Lancair 235 was lost with two fatalities. How can you avoid this fate? Years of study and research on flight safety demonstrates one of the most important things prudent pilots do to mitigate risk is set and adhere to limits. FAA regulations define specific limits for different pilot and rating classifications, and individuals should further limit themselves to meet requirements dictated by circumstance. LOBO recommends its members adopt and adhere to the following set of guidelines in establishing personal limits for operating their Lancair aircraft.